Access the full-text of publications from the American Chemical Society. Allows college students and faculty to access a wide diversity of research from many scientific disciplines. 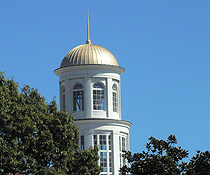 Things to Note: SciFinder Scholar access is limited to registered users - current students, faculty and staff at CNU, and while using an on-campus computer. It does not provide full text access.